The details are often on the back of the box, in small print. That's where parents and caregivers can find instructions that they should not be used in children under 4 years old, " Davis says. 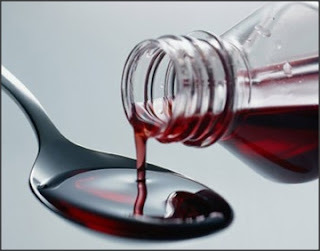 The side effects from use of cough and cold medicines in young children may include allergic reactions, increased or uneven heart rate, drowsiness or sleeplessness, slow and shallow breathing, confusion or hallucinations, convulsions, nausea and constipation. The poll found that use of the cough and cold medicines in children age four and under did not differ by parent gender, race/ethnicity or by household income. "Products like these may work for adults, and parents think it could help their children as well. But what's good for adults is not always good for children," says Davis. Davis says parents need to be vigilant about reading the directions and should always call their pediatrician or health care provider about questions regarding over-the-counter medications. "Because young children often suffer from cold-like symptoms, more research is needed to test the safety and efficacy of these cough and cold medicines in our littlest patients," Davis says.